Abstract art inspired by nature by graphic impressionist Solveig. This is second piece of the three-piece “Scopes” series. 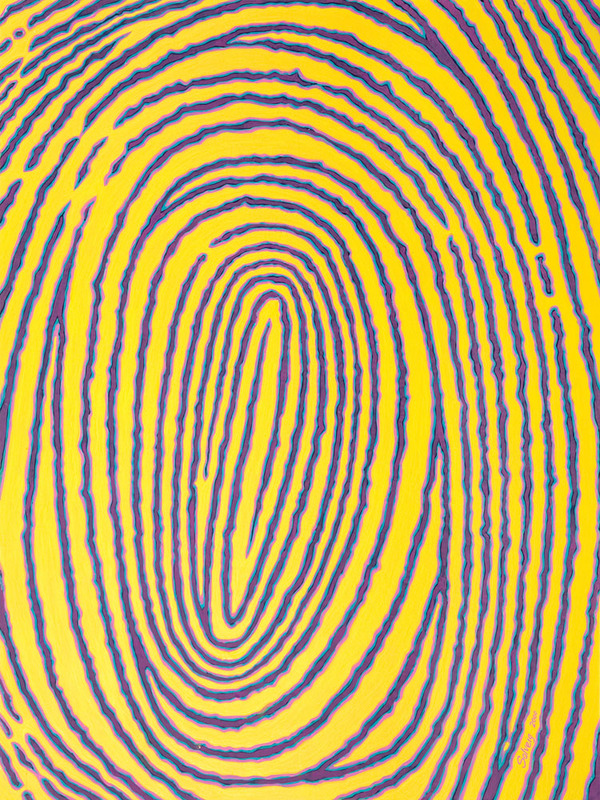 It is a magnified painting of a fingerprint whorl. This pattern is a sign of great talent and genius. I loved its graphic effect enlarged. In a way it is a portrait of someone special.